There are so many reasons to visit Western Australia. I’m a bit embarrassed that it’s the only Australian state I’m yet to visit. Western Australia is home to a number of UNESCO World Heritage-listed sites including the incredible Ningaloo Reef, some of the most spectacular and isolated coastlines in the country, huge swathes of wilderness dotted with rugged gorges and dramatic mountain ranges, not to mention Australia’s whitest beach. With all of this in mind, it’s no surprise that the state that makes up around a third of Australia’s landmass is an absolute goldmine of outdoor adventure opportunity. There’s so much to experience in Western Australia that no article (or even website) is ever going to cover it all, but I’ve done my best to come up with some of the best-looking adventures in the state. Hopefully, this will provide some balance to the rest of The Bushwalking Blog which is inarguably east-coast heavy. When I do eventually visit, this is my Western Australian bucket list. Hancock Gorge is one of the most spectacular natural features in Western Australia. Descending into the gorge is often referred to as a ‘journey to the centre of the earth’. 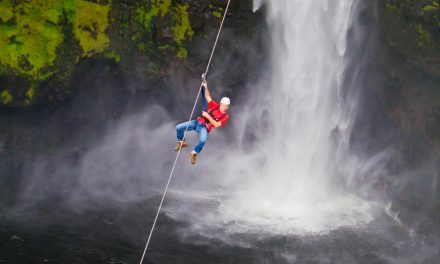 While it’s possible to explore the gorge by yourself, it’s quite a dangerous place best suited to experienced explorers. If you don’t fit that description, you’ll see so much more of the gorge by joining a guided canyoning tour. 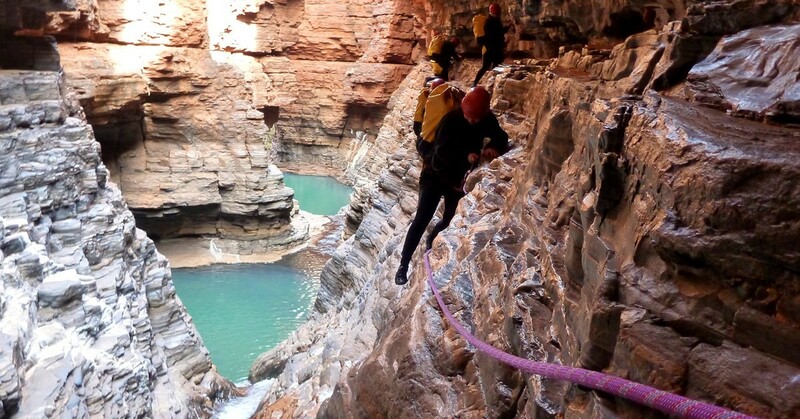 Hancock Gorge’s narrow slot canyons are well suited to a canyoning trip, where you’ll abseil, jump, slide, swim, and tube your way through sections of the gorge that aren’t accessible on foot. The most excellent of all the tours I’ve found is unsurprisingly called “Journey to the centre of the Earth” and is run by West Oz Active Adventure Tours. This tour is designed for the cooler months since, out of their three tours, this is the one where you’ll spend the least time in the water, but it looks incredible. They offer a couple of other tours as well so if you’re visiting during summer it’s worth checking them all out before making your decision. Tours start and finish at Karijini Eco Retreat, though you don’t have to stay there to take part. West Oz Active Adventures’ Journey to the Centre of the Earth tour is a full day tour, starting at 7:20am and finishing at around 5pm. As mentioned, it only runs during the cooler months but they do have other tours if visiting at a different time of year. The minimum age to participate in this tour is 14. You must be reasonably physically fit and you must be able to swim. To make your booking just head over to the West Oz Active Adventures website. If they don’t have any listed availability, make sure you get in touch with them to see what they can do. If you’re up for spending six to eight days on the trail, the Cape to Cape Track in the south west of Western Australia offers a world-class hiking experience. 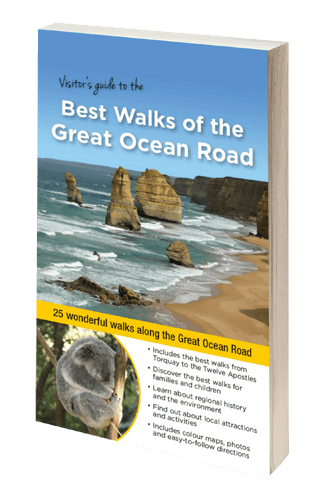 Stretching from Cape Naturaliste in the north to Cape Leeuwin in the south, the Cape to Cape takes in breathtaking clifftop views, remote beaches, historic lighthouses, all kinds of wildlife, and even a picturesque waterfall. 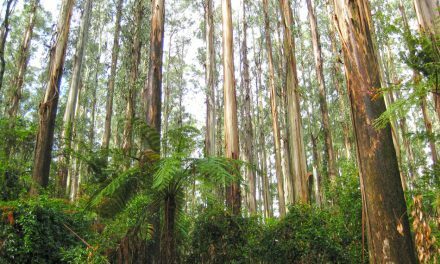 The trail is made up of 135 kilometres of boardwalks, 4WD tracks, beach walks, and bush trails through coastal heathland and Karri forest. 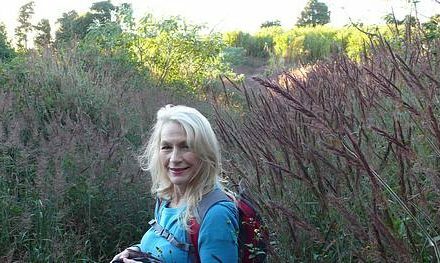 It’s possible to complete this hike in sections but hiking it end-to-end looks like the experience of a lifetime. Apart from campgrounds, there are a number of options to stay in more luxurious accommodation off the track. This will require organising transport (I’ve heard of people using taxis), but the other option is taking one of the many guided tours. Grade: Moderate / Grade 4 (according to the Australian Walking Track Grading System). Map: The Friends of the Cape to Cape have a page of maps on their website. You can either order directly from them or look for their suggested maps in map shops and outdoor stores. Further Info: Water can be scarce on the trail so short of carrying six to eight days of water with you or having a support team, water (and of course food) drops may be required. The trail may also require water crossings so check tides. 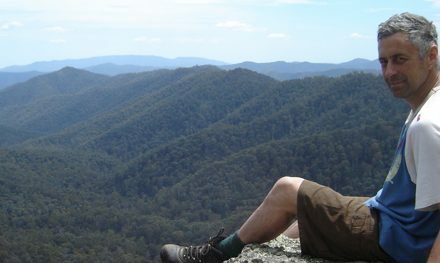 You’ll definitely need to bring some kind of emergency communication device, so consider hiring a PLB from The Bushwalking Blog. All of your other questions will most likely be answered here by the Friends of the Cape to Cape. The World Heritage listed Ningaloo Reef is one of few places in the world, and the only place in Australia, where you can snorkel with whale sharks. The majestic whale sharks can measure up to 13 metres. They’re the biggest fish in the ocean. Each year between March and July (and to a lesser extent from August to October), hundreds of whale sharks gather at Ningaloo Reef to feast on the abundance of plankton caused by mass coral spawning. It’s a rare opportunity to see the magnificent creatures up close. Obviously, this is something that requires a guide, and there are many options available. 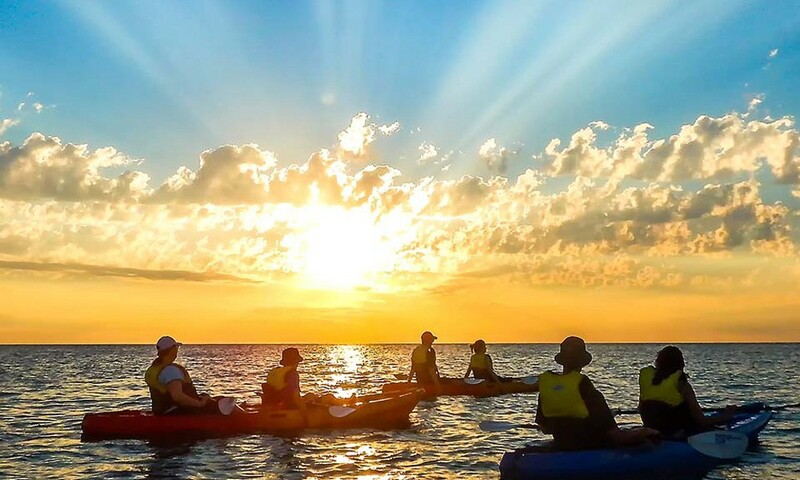 I came across a tour from Ningaloo Discovery where you’ll make your way to the reef on a luxury catamaran and apart from snorkelling with the gentle giants, you’ll have the opportunity to kayak and stand up paddleboard. You’ll also be provided with a professional photographer to capture your experience free of charge, and they won’t try to charge you extra for the photos. By all reports, this is an experience you won’t forget. Snorkelling with whale sharks will obviously require strong swimming ability. Ningaloo Discovery’s tours are a full day trip, starting at around 7:30am and finishing around 4:30pm. Your tour price includes transfers from Exmouth, lunch as well as morning and afternoon tea, all equipment and wetsuits, a glass of sparkling wine, and a professional photographer to capture your experience (with no added charge for the photos). You can book your tour here via Experience Oz + NZ. For better or worse, Rottnest Island’s quokkas have become a viral sensation in recent years. These gorgeous little critters are only found in a few locations and Rottnest is well known for providing your best chance of seeing them. Quokkas are mostly nocturnal animals, but they are regularly spotted on Rottnest in the mid to late afternoon. 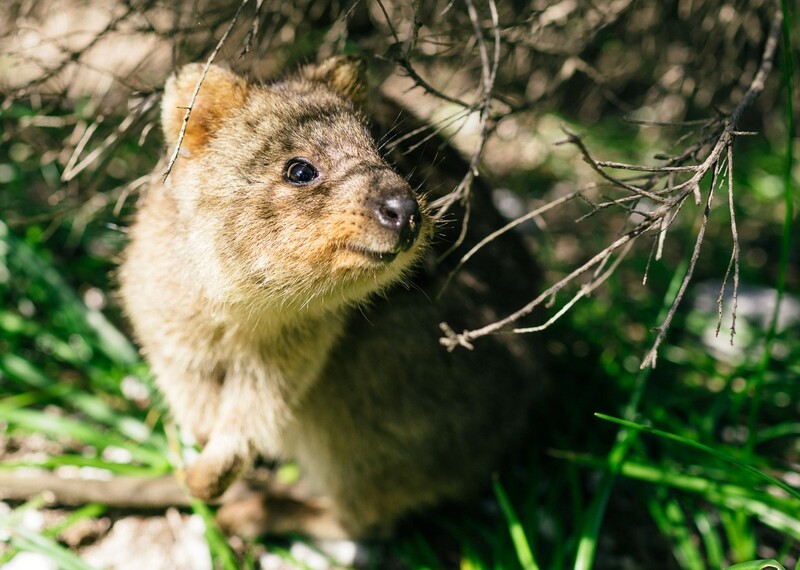 As amazing as the quokkas are, there’s so much more to see on Rottnest Island. The best way to take it all in is on foot, via a 45-kilometre series of hiking trails called Wadjemup Bidi. The trails take in the island’s picturesque beaches, coastal headlands, inland lakes, spectacular wildlife, and its man-made features. They’re split into five sections of which you’d need five or six days to complete comfortably. If you don’t have that much time, just pick as many as you feel like fitting in. Buses run between each of the trailheads at 30-minute intervals, allowing you to start your hike anywhere on the island. Access: The best way to access Rottnest Island is by Ferry from Perth. Once on the island, each of the hiking trailheads is accessible via a bus that runs at 30-minute intervals. Further Info: Accommodation and bike hire are available on Rottnest Island, which might both be helpful in walking as much of the Wadjemup Bidi as possible. For more details on each of the five trails, see the Rottnest Island website’s Wadjemup Bidi page. 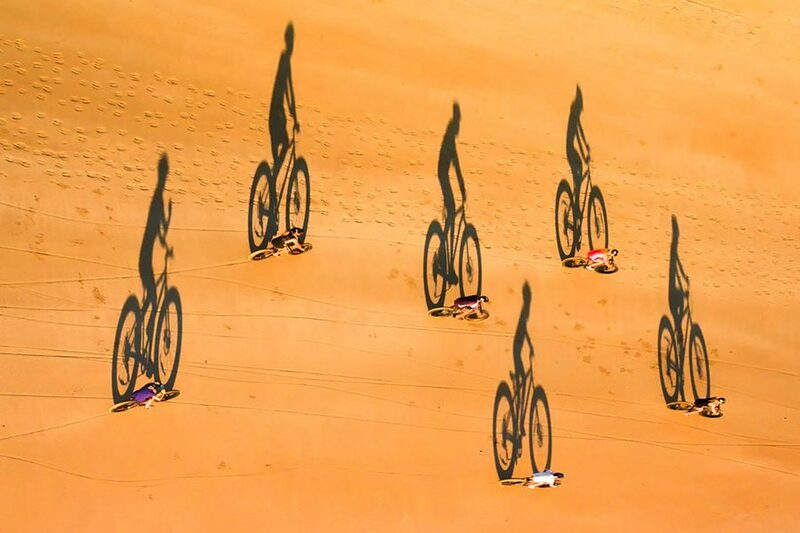 Tried riding a bike on sand? If so, you’ll know it isn’t anyone’s idea of a good time. Have you tried riding a fat bike, thought? For anyone unaware, a fat bike is like a regular mountain bike but with huge oversized tyres and rims. The applications are obvious but riding along Broome’s spectacular 22-kilometre beach is, as you can imagine, a pretty amazing one. The sunset on Cable Beach is well known as one of the most spectacular that the west of Australia has to offer. If you want to pair your sunset experience that feeling of the ocean breeze in your hair and see more of the beach than would be otherwise possible, a fat biking tour is the only solution. Fat biking tours with Broome Adventure Co depart daily from March to December and only last about 1.5 hours. They’re suitable for anyone who enjoys riding a bike, whether they’re 8 or 75 years old. During busy times they run two tours per day, so you’ll obviously want to take the latest tour if you intend to set the sunset. Snacks and drinks are provided. Bookings can be made via the Broome Adventure Co website but if booking within three hours of departure, please call 0419 895 367. 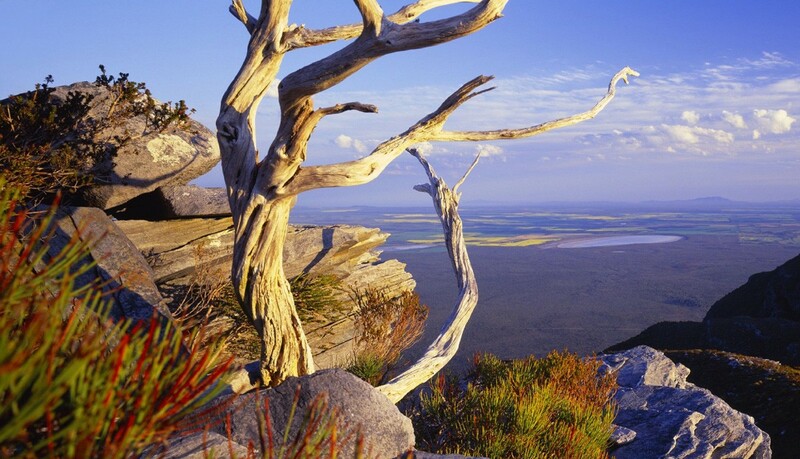 Bluff Knoll is a 1,095-metre peak in south west Western Australia – the third highest summit in the state and the highest in the region. The hiking trail to the top is only a 6.3-kilometre return walk but it’s a challenging one, and well worthwhile for the exceptional scenery and views of the surrounding Stirling Ranges. The steep and rocky track is also well known for its birdlife, reptiles, geological formations, spring wildflowers, and as one of the few places you might glimpse snow in Western Australia during the winter months. Closest Town: Albany (99 km). Map: I haven’t been able to find a topographic map of the area (I’ll update this if I do) but it’s worth having one if you can find one. On the upside there is only one trail up and down so as long as you carefully stick to it you’ll be right. The trailhead is at the interpretive shelter in the Bluff Knoll carpark. Further Info: National Park Fees apply – there’s a pay station at the entrance to the park. The summit can be seriously cold even in summer, so come prepared with layers. If you’re visiting Broome you’ll need to pay a visit by kayak to the local sea turtles. They’re pretty much a year-round attraction and kayaking is a great way to see them without (mostly) getting wet, since they aren’t too shy to surface. Depending on the time of year you’ll likely also see humpback whales and manta rays. Broome Adventure Co runs a tour which provides comfy kayaks with backrests that are stable and easy to paddle It’s suitable for almost all ages and all abilities. The tours are only three hours long but include a stop at a secluded beach for cold drinks and snacks, which will be a godsend after a couple of hours of paddling. Broome Adventure Co’s tour is suitable for almost all ages and abilities, but check in with them if you’re unsure. With tours running for only around three hours, they’re very affordable (reduced prices are available for seniors, students and YHA members. The tour includes guides and equipment, waterproof bags, and food and drinks. Bookings can be made online via Broome Adventure Co’s website. These are obviously two activities that you can do separately but if you’re visiting one you’d be crazy not to check out the other. They can be done without a guide but for the price, a package tour honestly seems like the best way. This Pinnacles Desert Stargazing Tour looks like a great option for doing both from Perth with a group of like-minded travellers. You’ll have the chance to sample some amazing local produce, from wine to chocolate and honey. There’s a stop at Lancelin’s three storey high sand dunes for some epic sand boarding, and then the afternoon you’ll be able to walk among the famous Pinnacles rock formations before settling in for a BBQ dinner and some stargazing (telescopes provided). The Pinnacles Desert is seriously dark, far from any light pollution, so it’s one of the most accessible places from Perth to see the night sky in all its glory. The tour departs from Perth, with pickup available from selected hotels (or from the train station). It runs Tuesdays, Thursdays and Sundays, starting between 11am and 12:30pm and returning at around 11pm. You’ll need to sunscreen, walking shoes, a bottle of water, and most importantly warm clothes as the Pinnacles Desert gets very cold at night, even during summer. Bookings for the Pinnacles Desert Stargazing Tour can be made online via Experience Oz + NZ. If the guided tour isn’t your preferred option, Google Maps will direct you to either location. I haven’t found anywhere to hire equipment for sand boarding so you’ll have to bring your own. Western Australia is absolutely massive and all of its population centres are miles away from the rest of Australia’s cities, so flying in and hiring a car is the easiest way to visit. Various international carriers offer flights to Perth, so if coming from overseas do your research. If you’re flying domestically, you’ll have to travel from (or via) Melbourne, Brisbane or Sydney. If coming from Melbourne it’s also possible to land in Broome, which will be more convenient if exploring the northern part of the state. Unfortunately, though, flights will cost you two to three times as much. I find Kayak the best spot to search for flights. They even do car hire and hotels. I won’t recommend any accommodation options here because the adventures above are too widespread, so it’ll depend on exactly where you’re going. Western Australia does offer a wide array of eco retreats and glamping accommodation though, so keep that in mind. No matter how much you love the outdoors there’s nothing wrong with a bit of luxury, right?